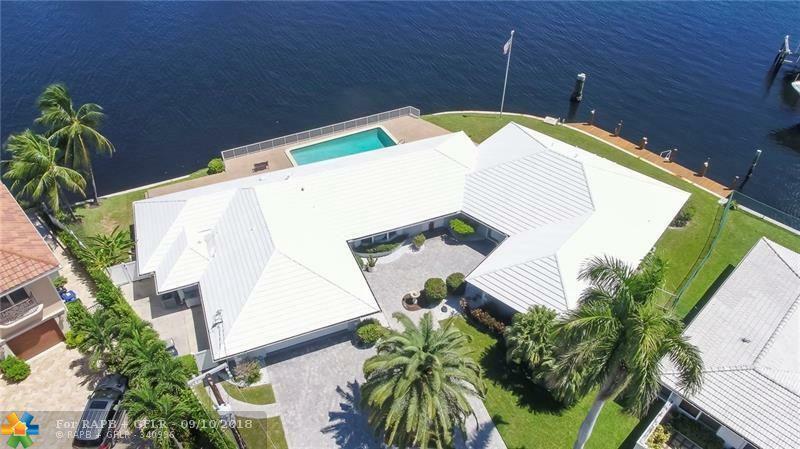 Looking for a home for your yacht? 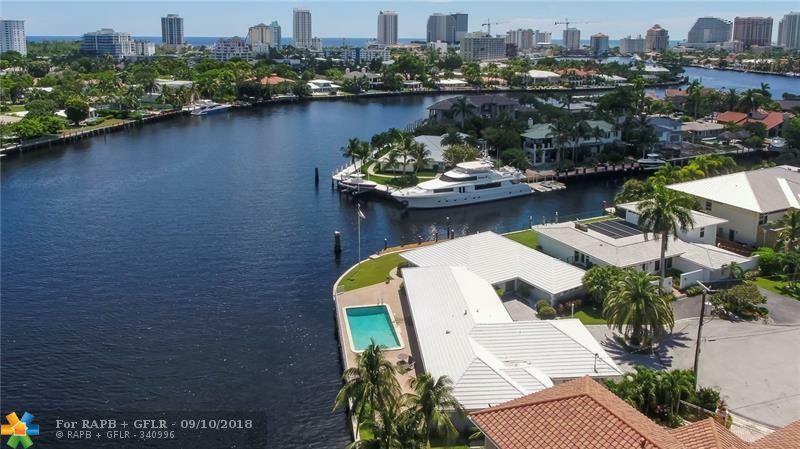 Located deep in the gated Sunrise Key neighborhood, this point lot property with 230 feet of waterfront and very deep water (over 20 feet in canal) is great for mega yacht dockage. 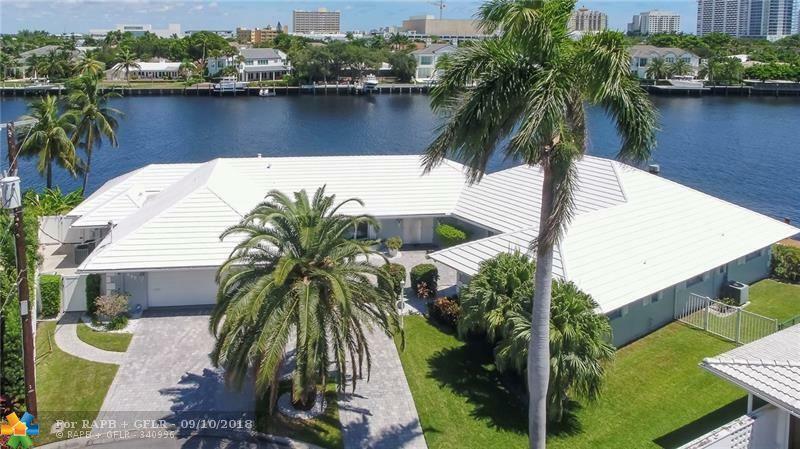 Classic one-story home with 4 bedrooms and 3 baths has been well maintained. 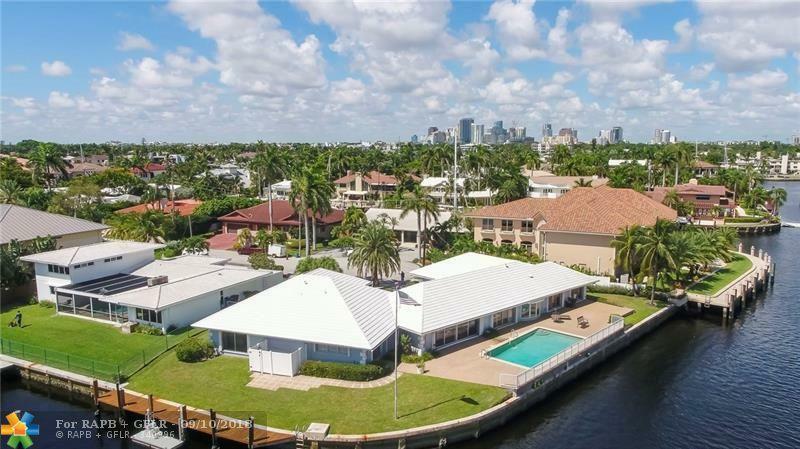 The home has wide water views of the Middle River and is just minutes to the Intracoastal, Port Everglades Inlet and Atlantic Ocean. Move-in, renovate/update or build your dream home.